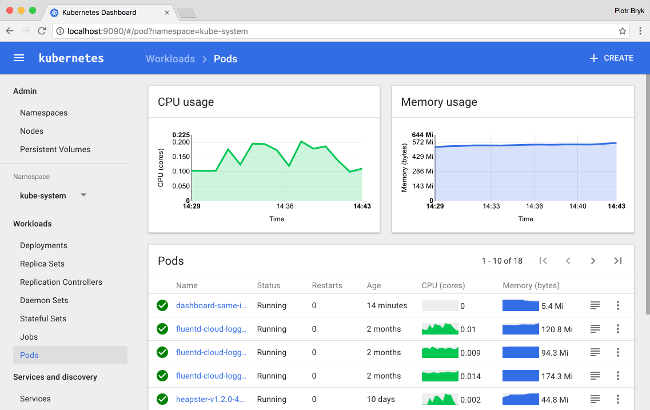 Kubernetes dashboards accounted for over 75 percent of the exposed interfaces, followed by Docker Swarm (Portainer and Swarmpit) with 20 percent, Swagger API UI with 3 percent and Mesos Marathon and Red Hat OpenShift with under 1 percent each. The vast majority, over 95 percent, of the exposed systems were hosted on Amazon AWS and 55 percent were in a U.S.-based AWS region. This can happen even to large companies with big IT budgets. Earlier this year, researchers from RedLock found hundreds of openly accessible Kubernetes administration consoles, some belonging to Aviva, a British multinational insurance company; Gemalto, the world’s largest SIM card manufacturer and car maker Tesla. Many of them had been abused to run cryptocurrency mining software inside those companies’ cloud computing instances. Although the vast majority of the 22,000 management interfaces found by Lacework did require authentication, their direct exposure to the internet is unnecessary and makes them a target for a variety of attacks, including credential stuffing—the use of credentials leaked in other breaches — and more general dictionary-based password guessing attempts. Intentionally keeping a container administrative dashboard exposed means that you also need to commit to keeping track of all vulnerabilities or bugs that might affect that software stack and deploy patches for them as soon as they become available. While it used to take attackers weeks to start exploiting newly announced vulnerabilities in the past, now they start doing it in days or even hours after an exploit becomes public. There’s also the possibility of zero-day exploits —exploits for vulnerabilities that don’t yet have patches — that you need to take into consideration. Kubernetes is constantly adding new security capabilities and recent versions provide SSL communication and authentication. Those features should be turned on and, if remote management is required, they can be augmented with VPN connections and multi-factor authentication. For more in-depth information on hardening Kubernetes against a variety of attacks, you can watch this presentation from independent consultant Brad Geesaman at KubeCon + CloudNativeCon North America 2017.